Although Wayne appeared to be the stronger fighter and had more accuracy to his punching, Luke stuck to his discipline by keeping to the low kicks. 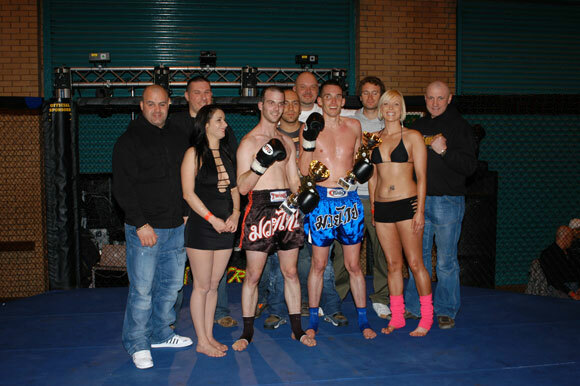 This led him to win in the end with a low kick stoppage. 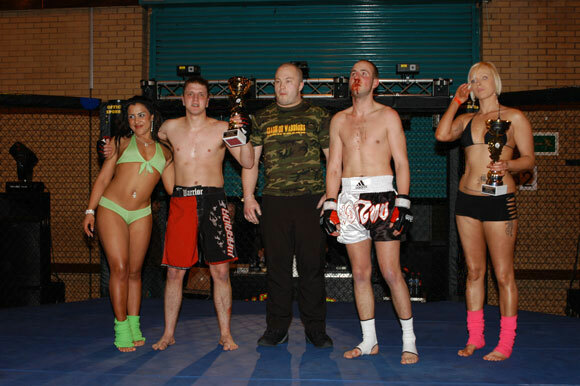 Farid proved himself to be the better fighter, quickly showing his skill and dominating the fight. He successfully lured Jurjis into a false sense of security and then made the most of this by winning with a rear naked choke. Both fighters started lively with Andy being quick to show his strength, and being the local boy he had to. Rich got a standing 8 count in the 2nd round and although both fighters saw it through to the end, Andy clearly dominated and the judges decision was unanimous. This was a very evenly matched fight - which means anything can happen. In the second round Alex saw his chance and took it. He then followed this chance with a barage of punches to the head. Jabir could not fight back and the referee had to step in to stop the fight. This was an inevitable win from the start. Shaun showed both good movement and ability which Andreis simply could not match. David Zmija got off to an agressive start and managed to spin Karl, but left his arm behind. 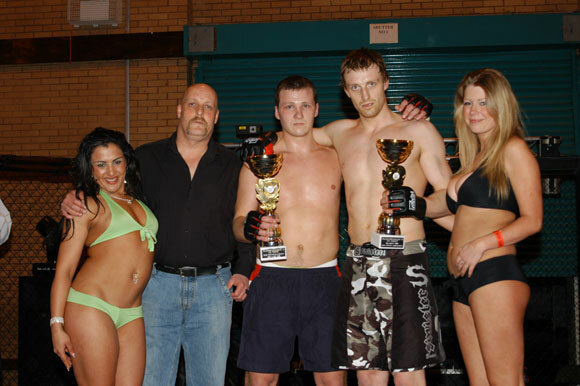 Karl made the most of this mistake and went onto to win with an Arm Bar. Local boy Marios was spurred on by a hell of a lot of cheering from the crowd when he stepped into the ring with first time fighter Simon Hull. Marios easily went on to win the fight within 45 seconds after delivering a barage of punches to the head. Simon could not fight back and again the referee stepped in to stop the fight. Throughout the first round these two looked evenly matched. Both provided some good pins in this round and the ref was forced to step in. At the start of the second round David quickly had his opponent pinned to the ground and followed this with a number of punches to the stomach. However he could not maintain this momentum and Andy rolled him over and used an Arm bar to force him to tap out.